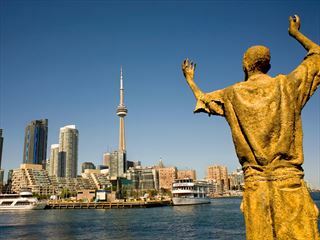 Head to the south-eastern corner of Canada on this whirlwind adventure through urban landscapes, striking scenery and beautiful natural wonders. 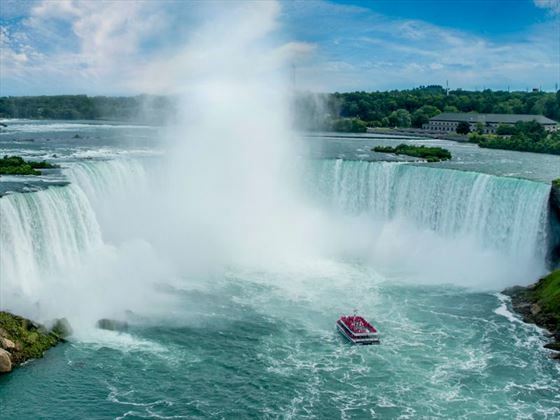 The nation’s distinct fusion of French and English cultures creates interesting locations which will amaze and captivate your imagination, from Quebec City and Ottawa to Niagara Falls and the breath-taking Thousand Island region. 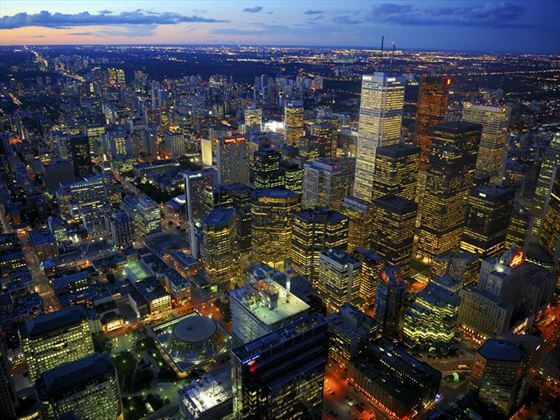 Arrive into Pearson International Airport and transfer independently to your downtown hotel. Pick up your Canada Roadbook at the front desk when you check in then spend the remainder of the day exploring the city at leisure. 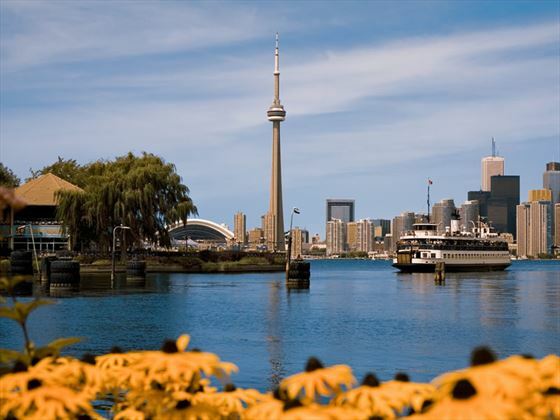 There are numerous attractions to explore in Toronto – you’ll be spoiled for choice. 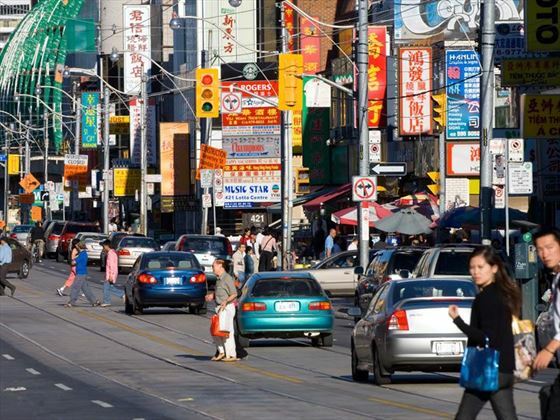 There is a fascinating mix of multi-cultural neighbourhoods, from Chinatown to Little Italy and Greektown, so exploring the world in one city is almost possible. Then there’s the CN Tower, the SkyDome, Ontario Place, the Hockey Hall of Fame and the Ontario Science Centre, to name just a few. Today the route heads south, skirting the Niagara Escarpment and the vineyards of the Niagara Peninsula. You’ll have the opportunity to discover the historic village of Niagara-on-the-Lake with its 19th century heritage, as well as time to do a little shopping, before heading back along the Niagara Parkway to Niagara Falls. Kitchener is a charming rural region that’s not only home to the University of Waterloo, Wilfred Laurier University and Conestoga College, but welcomes over 600,000 visitors to its unique brand of Oktoberfest each year. Founded in 1784, Kitchener is the gateway to the Grand River Valley. It’s popular for the natural beauty found here, as well as the valley which offers over 30 miles of trails for bird-watching, hiking and cycling. Travel north to the shores of Georgian Bay where you’ll venture into the heart of Central Ontario towards Midland. There’s a lot of natural beauty and history to experience here, which you’ll have the opportunity to discover today with visits to Georgian Bay Islands National Park, Huronia Museum and Indian Village, Wye Marsh Wildlife Centre and The Martyrs’ Shrine. 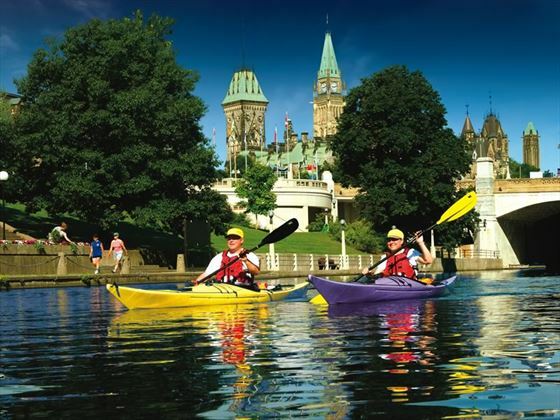 Today you’ll venture further east as you enter the Pembroke/Ottawa Valley region – a fascinating city to explore due to the diverse array of people who have settled here over the years, from English, Scottish, Polish and Irish to German, French, Indian, Greek and Chinese. Take time to admire the vast wilderness of Algonquin Provincial Park which is well known for its hiking trails and canoeing routes. Take a scenic drive today along the Quebec-Ontario border to pass typically rural towns such as Renfrew and Arniprior. 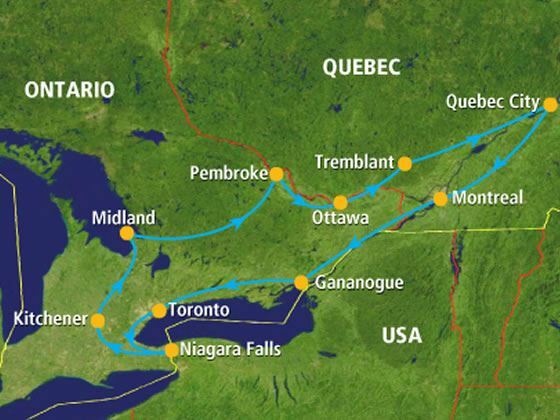 The tour takes a different turn today as you head north into Quebec and the Laurentian Mountains. Visiting St. Jovite and Mont-Tremblant Park, you’ll unearth the natural scenic beauty that attracts so many visitors every year. Travelling onwards you will reach the luxurious resort of Tremblant. Spend the day enjoying all that Tremblant has to offer as a world-renowned four-season destination. Why not rent a bike and hit the mountain trails or go hiking to keep an eye out for the wildlife? If you like playing golf, there are two courses and a golf academy here, as well as a beach club and watersport centre if the waters sound more enticing. If you simply can’t choose, Tremblant has an activity centre to help you, where you can gather ideas and be guided in the right direction. 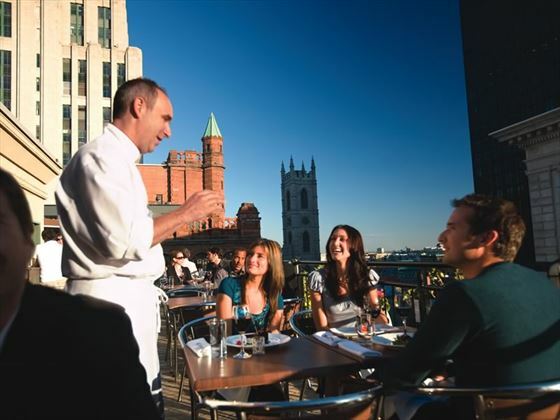 Quebec City is the best place to combine a classic Canadian trip with a European adventure! This city is unique and unforgettable, with a rich heritage and numerous attractions. Be sure to make time for as many as you can, such as the shrine at Ste. Anne-de-Beaupre, Place Royale, the Basilica, Montmorency Falls and the Ile d’Orleans. Spend the day discovering more of what Quebec City has to offer, from the historic buildings to the unique French culture and enchanting cobbled streets. In the morning you will follow the St. Lawrence river to the city to Montreal, where you can spend the day forging your own Canadian adventure within the city. Take a trip to the Notre-Dame Basilica, the Place d’Armes or the rue St. Catherine, or seek out the botanical gardens and Olympic Stadium. In the evening, explore the bustling nightlife and fantastic restaurants. Leaving Montreal in the morning, you’ll drive west across the border into rural Ontario – as you drive through you’ll pass through the stunning Thousand Islands region where dense forests and glistening lakes can be found. Step aboard a cruise ship to explore the striking scenery which is dotted with luxurious cottages and estates. The cruise takes you past Boldt Castle, Millionaire’s Row and Zavikon Island, as well as numerous stunning vistas of the landscape. Take a leisurely drive along Lake Ontario and return to Toronto’s Pearson International Airport to check in for your return flight. Daily flights available with Aer Lingus, Air Canada, KLM, British Airways and United Airlines.